Oooh! I have all these ingredients! And no bread for breakfast… I wonder if I can make it before bed? Like Dom, I adore fig rolls, takes me back to the 70s! 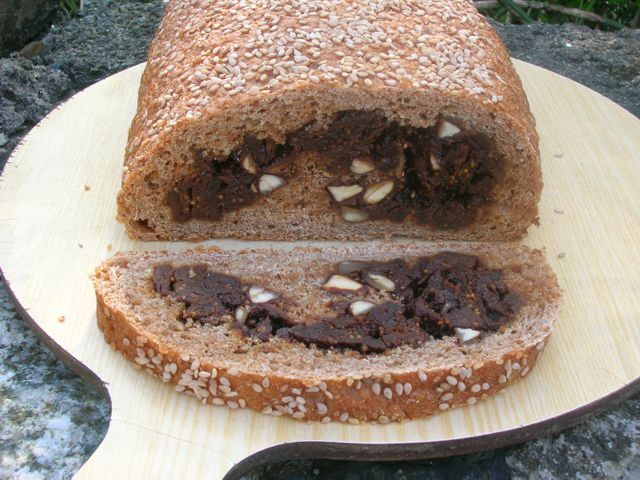 Your loaf has all the goodies i would enjoy and I must see this recipe for dandelion honey. What a good idea. I need to put some of mine to good use! This sounds so good Choclette. I am loving sweet yeast breads at the moment, although probably a bit too much for my waistline. It’s good to hear that this one keeps, too. This looks so GREAT! Spelt is my favourite grain and nutty fig filling…heavenly! That looks lovely – it’s been so long since I had a fig roll and a combination of figs and chocolate in bread sounds heavenly! How great does this look! What a great innovation using fig. Looks lovely.